Peaceful getaway, ideal for couples to relax and reconnect. Charming Cabin with wood-burning stone fireplace, kitchenette with microwave, mini-refrigerator, sink, well-stocked cabinets, bath with shower, one Queen bed, Cable TV, AT&T cell service on-site, Wi-Fi, living and dining areas. Originally built as a writer's studio, the cabin is nestled in an apple orchard, separated from main house on three acre property. Walk to beautiful Silver Lake State Park for beach, picnicking, swimming, kayaking, fishing, paddle-boating, canoeing, hiking on miles of trails or to Barnard Village, a quintessential Vermont town right on the lake. Visit the Barnard General Store where 'if they don't have it, you don't need it'! A variety of restaurants, galleries, farmers' markets and shops in the area. This is complete getaway from the world, relaxing, quiet yet a short drive to all the attractions in Woodstock, Killington, Waitsfield, Montpelier or even Stowe and Burlington. Barnard is a special mountain village with vistas to the north and west and close to the famed Route 100, following the spine of the Green Mountains. Very private and yet close enough to stores and interesting places to visit. Enjoyed our stay there, hope to be back soon. Outstanding, Fantastic and so comfortable. We had such a comfortable time here. Everything was so clean and inviting. We can't wait to return. Comfortable, charming cottage that had everything needed for a relaxing mini vacation. We enjoyed the fire pit outside in the early evening, only to enjoy the beautiful fireplace inside later. The location was in great proximity to many things to do and visit. Thank you for a wonderful stay! You had the perfect weather to enjoy the indoor and outdoor fires! You'll be interested to know that a moose was seen in town shortly after you left. Maybe you will have better luck next time! I can't speak highly enough of Doreen. She warmly greeted us the second we arrived and gave us a tour. She's so friendly and she had stocked the cabin with everything we could have needed. She even added flowers and a happy anniversary sign since we were celebrating our wedding anniversary, and she printed out a map for a hike she suggested. I loved how the cabin is decorated and it was the perfect spot to explore Vermont. I would highly recommend staying here. Thank you for your kind words. It was such a pleasure to have you spend your special getaway weekend in the cabin. Come back any time you just want to relax! A perfectly done respite for the soul! Everything was perfect for my stay, even the weather! Doreen takes obvious pride in this lovely gem of a space. Nothing is left undone. Simply done, yet attention to every detail. It is a tranquil, serene cabin surrounded by trees and nature’s beauty. 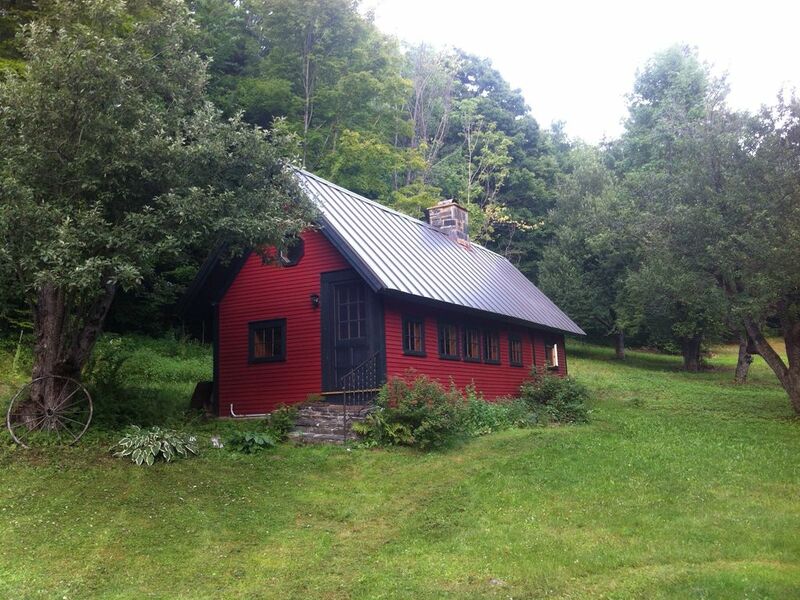 I will absolutely be back, not just to Vermont, but to this perfect piece of it!! Brenda, it was a true delight to have you stay in the cabin. I’m so glad you enjoyed touring the surrounding towns. I look forward to your next visit to Vermont! The cottage is walking distance to Silver Lake State Park and Barnard Village. Rates are subject to change until reservation is confirmed. Pet friendly with prior arrangement.